This is our number one powder for its high ratings, excellent value, and effectiveness on not only wasps but all sorts of insects. Impressive ratings and effective eliminations of any kind of insect make this our favorite runner-up wasp dust. We love this duster bulb for the variety of tubes, its ability to dispense both dust and granules, and fantastic ratings. It’s estimated that somewhere between one and two million Americans are severely allergic to stinging insect venom. Every year around 90 to 100 deaths from stinging insect reactions are reported. It’s speculated that many more deaths might be occurring, mistakenly diagnosed as heart attacks or sunstrokes, for example. More people die every year from insect venom than from spider bites or snake. Life-threatening human sensitivity to these stinger venoms that result in deaths is almost entirely due to cases related to bees, wasps, hornets, bumble bees, and ants. The surprisingly lethal (if not just painful) risk of stings from insects such as wasps led us to select our favorite anti-wasp dusting powders as well as the best dusting bulb to distributing these potent wasp killers. 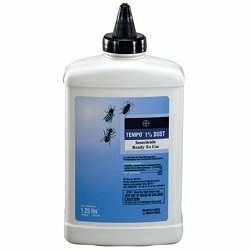 We love this product because of its proven success, decent price, and the fact that it kills not only wasps, but also ants, bed bugs, roaches, fleas, silverfish, termites, centipedes, millipedes, scorpions, moths, pantry pest, and ticks. Delta Dust is designed to be used with a hand duster or a tiny paint brush. This dust is not intended to be applied in open areas where people or pets can come into easy contact with it or where it will be inhaled in noticeable amounts. Only treat wasp nests with a hand duster or dusting bulb from as far back as you can still reach. Do not apply directly to any nest with a brush. Tempo Dust Insecticide has one of the highest customer ratings of any product we’ve seen any type of category. Out of hundreds of reviews, 90 percent are five stars, with virtually no negative feedback. It costs just a little more than the Delta Dust, but this powder’s success rate is through the roof, making it our runner-up for best wasp powder. Just like the Delta Dust, this is meant to be used in a specially designed duster or applied in places like cracks or along doorways, windowsills, and electrical gaps with a small paint brush. Do not apply directly to wasp nests with a brush. Always using a dusting bulb or accordion-style hand pump to apply to nests, wearing a filter mask, and stand as far from the nest as possible. Like Delta Dust, this product will also eradicate a massive variety of insects, including wasps. There is almost no point in investing in powerful insecticide dust without a way to apply it. 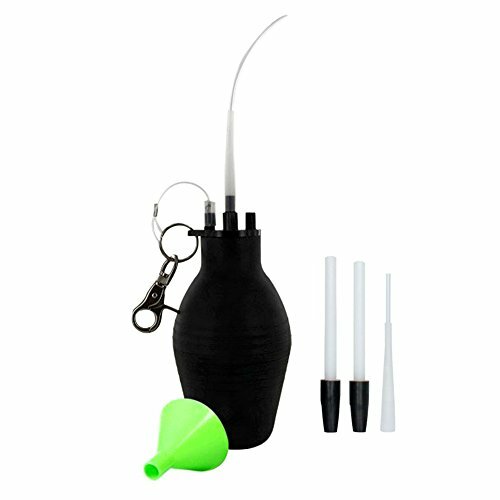 This bulb duster comes with three different tips that are durable yet bendable. You can use one for applying granules, one for dusting more substantial amounts onto spots such as direct contact with wasp nests or large cracks in decks or foundation, and another smaller tub for thin, harder-to-reach places. While at first glance this bulb duster might seem a bit pricey for one item, its ratings are exceptional, and we personally found it to work better and with less mess than a couple of competing dusters. This is a product that can be used year after year. We especially loved the variety of tubes for various types of dust or granule application. When you apply insecticide dust, make sure the duster is filled only around halfway, no more than two-thirds full. Always wear gloves and a filter mask when using insecticide powders. We quickly learned that as careful as you can be, some dust will inevitably get into the air. You don’t want to breathe in these dust powders or absorb them through your skin, so take proper precautions. Before using a dusting powder indoors (if you will be doing so for other insects, too) be sure all food surfaces and utensils are covered entirely during treatment. Exposed food must be stored away from the powdered area or removed altogether. Also, be sure to apply them with proper ventilation. If you’re using dust indoors, make sure you have screens on your windows and then open your windows wide to allow any rogue particles of dust to filter out of your home. When you apply insecticide dust, make sure the duster is filled only around halfway, no more than two-thirds full. If it is loaded with more power than that, it can clump and clog in the thin opening. If you do experience a small clog in the duster tube, you can gently tap the tube to help break up the blockage. It is vitally important to keep powders very dry, as any humidity that seeps into the container will cause your wasp dust to clump and clog much more. Apply insecticide dust directly into cracks, crevices, openings in floors and ceilings, around electrical fittings with gaps, beneath and behind cabinets, under refrigerators, around windows, door frames, in attics, and crawl spaces. If you treat a wasp nest directly, be prepared. Wear clothing that will cover your skin as much as possible, use thick gloves, a filter mask, and stand as far back as possible while still reaching the nest with the powder. Gently tap the tube of your duster to be sure there are no clogs and give it a quick test shot. Do not stand directly under a nest if you are going to spray or dust one, as it can fall with any extra weight or disturbance from powder or the wasps. Use a wider tube for maximum coverage as fast as possible. Pump enough insecticide dust to coat the nest entirely or until you hear or see any disruption of wasps. If they begin to emerge, leave immediately. You can always return later to apply more once the nest has calmed down. Never use a brush to apply insecticide to a wasp nest. It’s always best, if you are allergic, to hire a professional exterminator to get rid of a nest. Never try to burn a wasp nest or flood a nest with water. This practice will make these insects angry and aggressive.